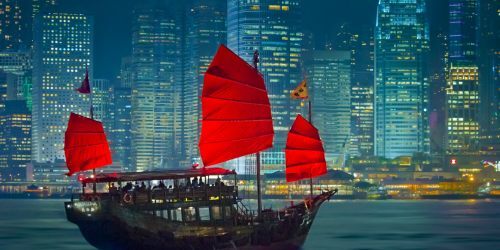 United Airlines is showing flights from Toronto to Hong Kong for an astounding $532 CAD roundtrip including taxes. Some people are reporting better luck with booking these through Google Flights when using a mobile device, as opposed to a desktop or laptop. 2 Responses to "Toronto to Hong Kong - $532 CAD roundtrip including taxes"
It says 'book through travel agent' every time I get a price for the 600s cdn. On the airline website it goes up to over 1000, what's the catch do you have to call flight centre then?? Update @ 4:00 PM EST - Looks like the prices have all changed to $623 CAD.